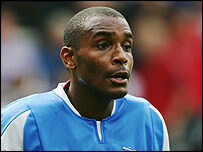 Crystal Palace beat off rivals Norwich and Southampton to sign their former striker Clinton Morrison from Birmingham for a £2m fee. Palace boss Iain Dowie is confident the 26-year-old will boost their promotion campaign after agreeing a three-year deal at Selhurst Park. "Clinton has been bought not only for this division but for a higher division as well," said Dowie. "If we had signed him last season, we might have stayed in the Premiership." Dowie faced opposition from some fans in re-signing the Republic of Ireland international. Morrison has been given a rough reception by Palace fans whenever he has returned to Selhurst Park since leaving for Birmingham three years ago. But Dowie said: "I wouldn't take the reaction of the fans as a factor in which player I sign. "I would be amazed if he didn't get a good reaction when he comes back." Morrison slid down the pecking order at Birmingham especially with the permanent arrivals of Walter Pandiani and Mikael Forssell. And the striker, who scored just 14 times in 87 league appearances for Birmingham, is eager to kickstart his career. "It's a big year for me," said the 26-year-old. "We could get promoted, and I could play for Ireland in the World Cup in Germany. "I wouldn't have come back to Palace if I didn't feel sure we could get promoted. "Palace are better than Championship standard, and now it's up to us to prove that."